Visual appearance can determine a person’s perception of a product. Perception is subjective. A key measurement parameter used to define and quantify a product’s overall visual quality is gloss. 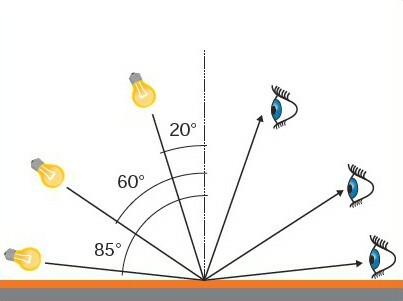 Gloss is measured by directing a constant intensity light beam, at a fixed angle, onto the test surface and then monitoring the amount of reflected light from the same angle. This specular reflectance is measured using a glossmeter. Different surfaces require different reflective angles.